Weird Florida Production Team, after being stopped by police for filming outside the car window. We got off with a warning. 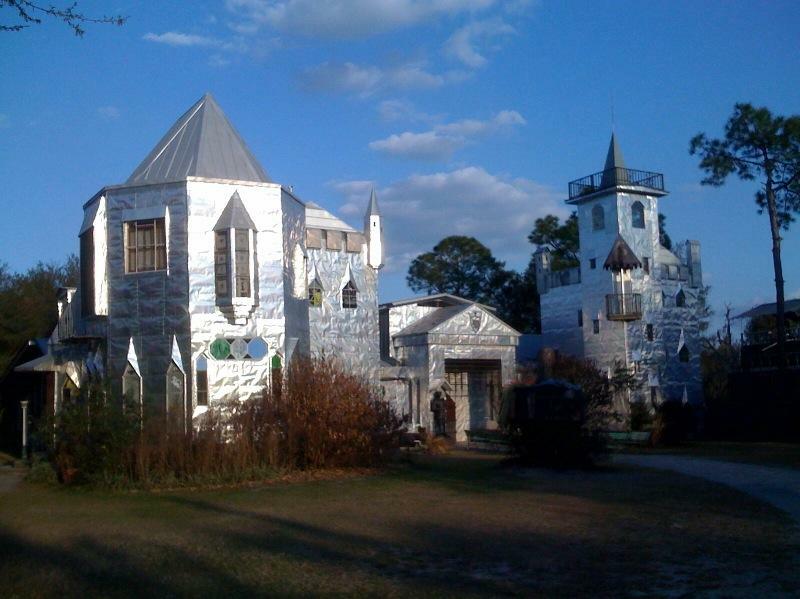 Then there are dozens of roadside oddities celebrating Florida’s eccentricities like the beer can car, giant cement gators, a castle built of junk, the world’s most unusual monument and the most beautiful pyramids you can rent among a slough of other crazy surprises. 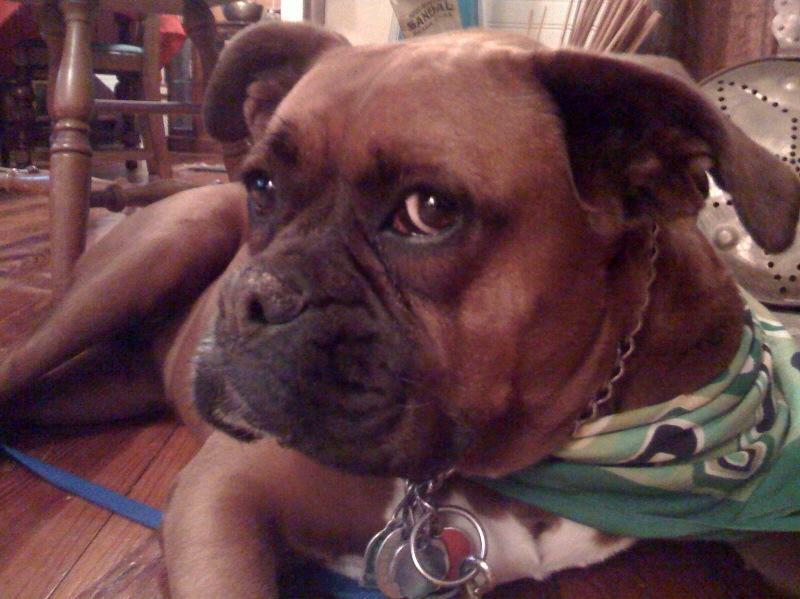 In the middle of all these strange and unusual discoveries, you can find the master of weird, Charlie Carlson and his canine sidekick, Miss Scarlet. 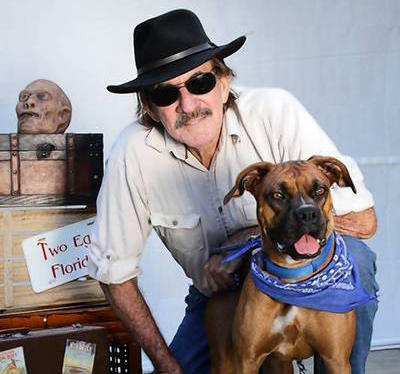 Charlie is a tenth generation Floridian who will take the viewer behind the scenes and up close to Florida’s best-kept secrets and oddest legends. 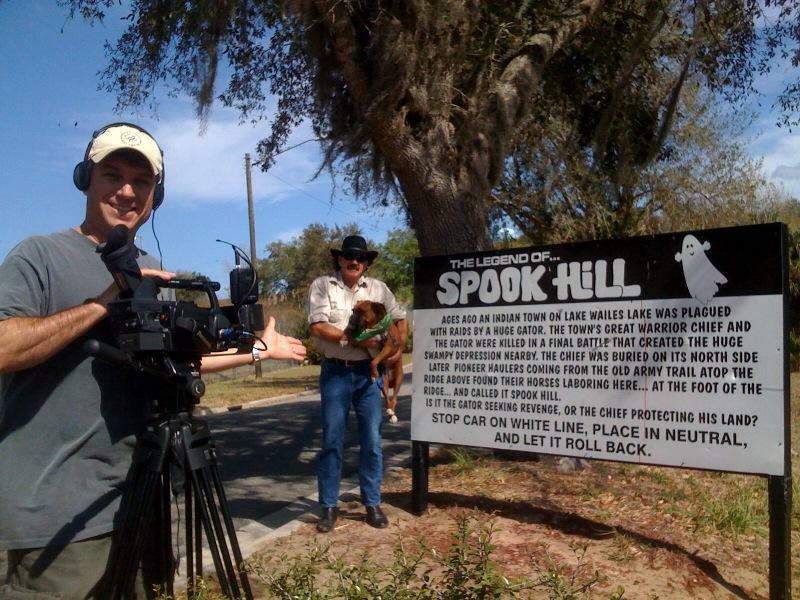 He’s a witty folk historian and explorer of the Sunshine State’s unexplained phenomena. 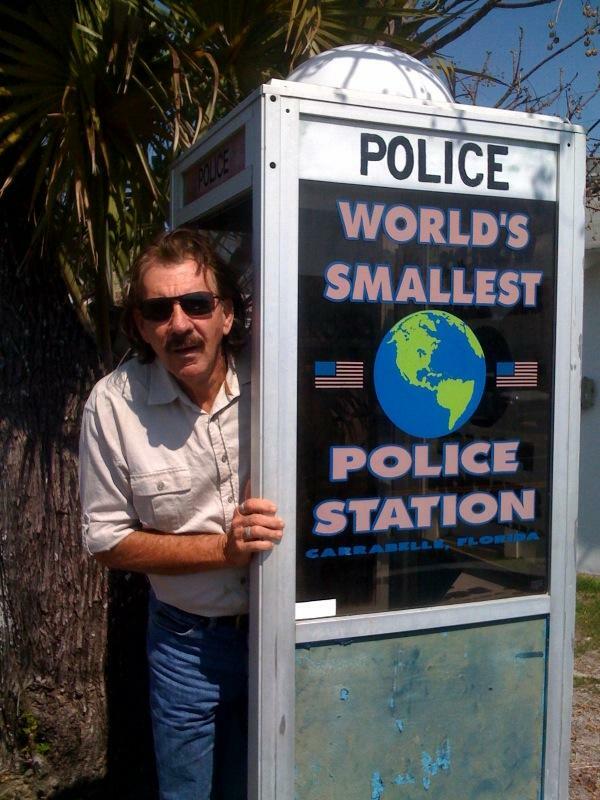 As the author of the best selling book Weird Florida, he is the perfect tour guide for this wild and wacky adventure. 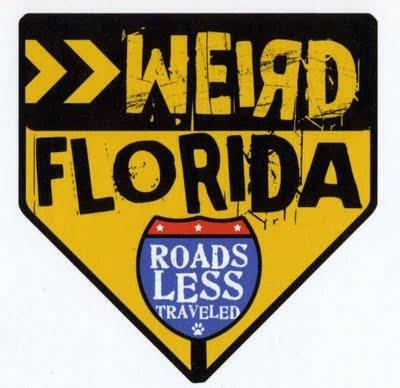 Weird Florida Roads Less Traveled is a one-hour documentary produced for Public Television. 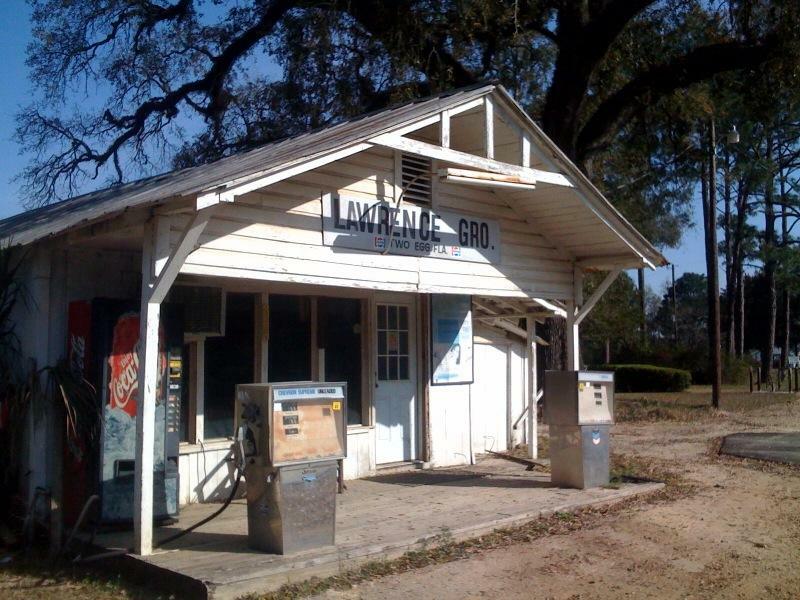 From Key West to the Gulf of Mexico, we’ll travel the highways, byways and even down a few back roads in search of the Sunshine State’s weirdest and wackiest places. 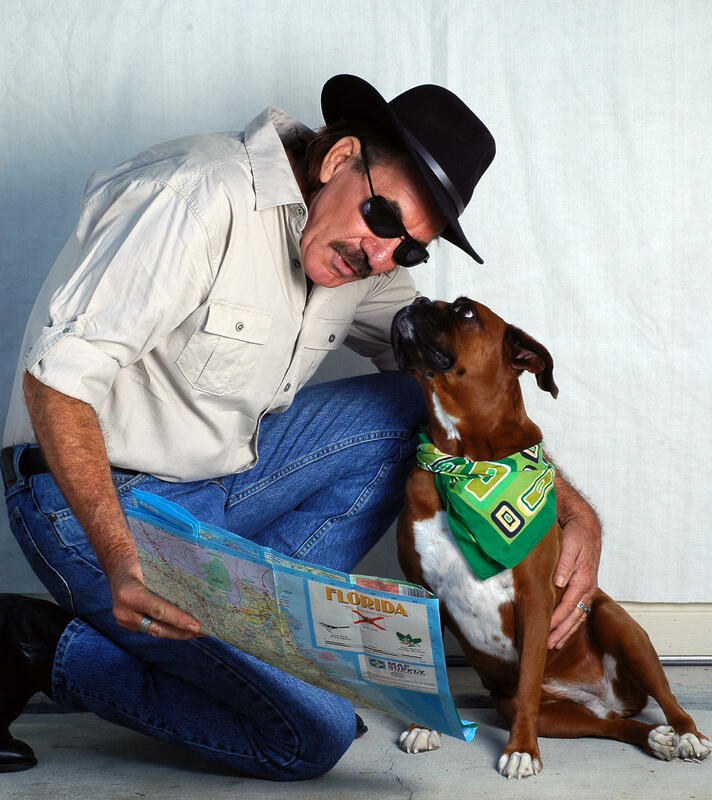 We will chronicle this sightseeing adventure with Charlie as our guide into Florida’s unknown world of weird where viewers will discover a different kind of tourist destination.